The UN says Australia hasn’t done enough to tackle concerns about rampant coastal development and water quality at the world heritage site. AUSTRALIA HAS INSISTED it is committed to protecting the Great Barrier Reef today after the UN warned that the natural wonder’s world heritage status could be in downgraded in 2014. UNESCO said little had been done to address concerns about rampant coastal development and water quality raised a year ago with the Australian government in a warning that its heritage status was at risk. “The state party has made progress on some key issues and actions but progress on several recommendations, including those related to water quality and measures to prevent coastal development … remains limited,” UNESCO said ahead of its annual congress next month in Phnom Penh. Urgent and decisive action is needed to address these issues. Without a “firm and demonstrable commitment on these priority issues” UNESCO said the reef should be considered for inscription on the list of world heritage sites in danger in 2014. Australian Prime Minister Julia Gillard said her government had taken steps to increase protection of the reef, including Aus$200 million (€157 million) towards the Reef Rescue water quality project. “We are very committed to keeping the Great Barrier Reef as the wonderful heritage area for the world that it is and for our nation,” Gillard told reporters. But environmental group WWF said UNESCO had “put Australia in the sin bin”. “The expert bodies are so concerned that they are recommending an immediate halt to approvals of coastal development projects that could individually or cumulatively impact on the reef’s world heritage values until (Australia’s state and national) governments have properly responded to their recommendations,” said WWF’s Richard Leck. Australia’s environmentally-driven Greens party said the latest UNESCO report was a “slap on the wrist” for the government, with most sites on the heritage in danger list in developing nations or war zones. 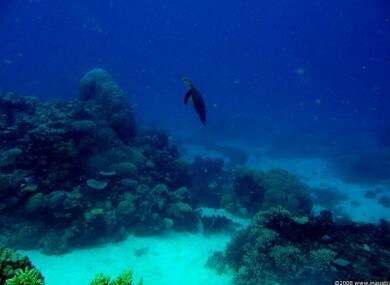 “This is the world heritage body warning us that we need to (do) better or our reef, our most precious tourism icon, will be put on the world heritage endangered list, along with other countries like Yemen, the Congo and Afghanistan,” said Greens Senator Larissa Waters. Australia is riding an unprecedented wave of resources investment due to booming demand from Asia, with hundreds of billions of dollars worth of resource projects in the pipeline. Last June UNESCO said the sheer number and scale of proposals, including liquefied natural gas, tourism and mining projects, could threaten the reef’s status. Email “Great Barrier Reef status as 'natural wonder of the world' under threat”. Feedback on “Great Barrier Reef status as 'natural wonder of the world' under threat”.